As someone who was very set in listening to the music of nature while running, it has been a huge step for me to listen to conventional music during my warm up jog. Don’t get me wrong, I love music. I grew up playing the piano and later the baritone, and I still regularly hum a tune on my kazoo. I love belting out the hits while in the car, and usually whistle my way down the sidewalk to the track. An ipod shuffle changed that! I haven’t gotten into a habit of using it every day, but I’ve thoroughly enjoyed the times that I have. It is no secret that music is therapeutic (makes me want to finish Dr. Daniel Levitin’s This Is Your Brain On Music that I began a couple of years ago – revealing the processes in the brain that make music so awesome to us!). But listening to Tchaikovsky’s 1812 Overture while warming up was life changing. This piece is great for warming up. The music begins so softly that it seems to be settling in as background music for the wind and the birds that are still audible. The music you do hear is all gentle harmonies, calming you as you begin your jog, when your body perhaps doesn’t feel the greatest. Any urge to rip off the headphones, fearing you are missing something while in the alternate world of Tchaikovsky, quickly falls away. The tune picks up a bit with a few ominous low brass tones accompanying a quivering lone oboe that raises the tension, and perhaps the pace of your jog. The brass clearly have a strong contingent and make a big pompous show of their arrival, taking over the tune (for all of you with band experience – yes, classic brass behaviour!). You take the brass leaving you in a dramatic cliff hanger as the perfect cue to stop jogging (or running, as your pace has evolved into) and catch your breath. Then come the snare drums and the classic instantly recognizable melody, brought to the forefront of popular culture in recent years by the fascinating movie V for Vendetta. You do some stationary stretches and mobility drills to test the main muscle groups in your body, while the high strings and french horns dance for a while letting you know that all is okay and that you’re not as out of shape as you feel from that “jog”. Now come the strings’ turn to show off their dexterity. In my mind’s eye I can see the classic video footage of the strings sections in an orchestra, the instrumentalists deep in the zone, bows synchronized in lightning fast, precise movements, with the musicians’ entire bodies working to create each note. As I start to focus more on my body and the movements I am trying to master throughout the remainder of my warmup, the music takes a back seat in my consciousness. I am only vaguely aware of the low brass’ buildup to the trumpet’s bright fanfare of the classic melody, comfortable in it’s familiarity, and the ensuing conflict portrayed between the brass and the strings. The back and forth squabbling reminds me of a hawk being mobbed by aggressive crows. With the unanswered brass calls at the end of the clash, the hawk appears the victor…although the low, pacing strings suggest the crows are not rolling over yet! Soon I am on to my faster paced drills. The next slower section of music doesn’t quite fit my activities, and the more aggressive movements prove too much for my bouncing headphones. Hey World, I’m back! But here’s where the piece of music gets interesting! It turns out the 1812 Overture depicts Napoleon’s retreat from Russia. The recurring brass tune is in fact from La Marsailaisse, the French national anthem, and much of the wind/strings parts take their origins in Russian folk music, with segments from God Save the Tsar. Just as it appears that the French have taken over Moscow (the brass calls go unanswered, as mentioned above), the Russian people’s prayers are answered and God steps in with a bitter winter with which the French cannot contend (listen for the wind sweeping the landscape and the struggling brass motif). The Russians capture the artillery of the retreating French, and turn the guns on their owners. Call me an army brat, but now for my absolute favourite part – the big guns. 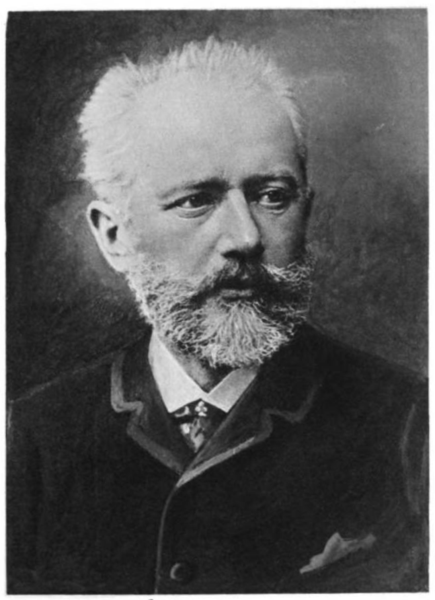 Tchaikovsky literally calls for cannon fire, music to a daughter-of-a-gunner’s ears! I am teleported back to my childhood, sitting in the bleachers facing a big field. The ground starts rumbling and several M109 self propelled howitzers roll past in a noisy line, the tracks clacking over the deep thunder of the engines. They park in a row and on command fire an echoey blast, the last blast they are ever to fire, to signify the retirement of these impressive guns from the Canadian artillery. The version in the video above uses recorded cannons…if you’d like to hear and see an awesome version with real cannons click here. It is missing the opening chorus, but I, for one, think the cannons make up for it. The guns continue to fire in celebration, and the final minute of the song reverberates with what sounds like one hundred church bells, pealing triumphantly across the land. Sorry Napoleon, not this time. The bottom line is that this song oozes triumph…and the battle takes place in Moscow, the site of this summer’s World Championships. Looks like this song is going on repeat! I loved playing this in orchestra! It’s definitiely an inspiring piece for you in so many ways, Jen! I’d like to see you back on the bass, Mom! This song makes me wish I played a string instrument, or at least an orchestral brass instrument! Wow, Jen! Your writing takes me far and away yet back to earth. Thank you!